Join us in the work God is doing! On March 4th, The Orchard Church kicked off a campaign with a goal of raising $10,000 for the building fund. The campaign will run through April 29th. The proceeds of this campaign will be used to expand our current parking lot and professionally “pave” it with crushed stone, install lighting in the parking lot, and provide funds to contract with an architect for preliminary designs of a building expansion. 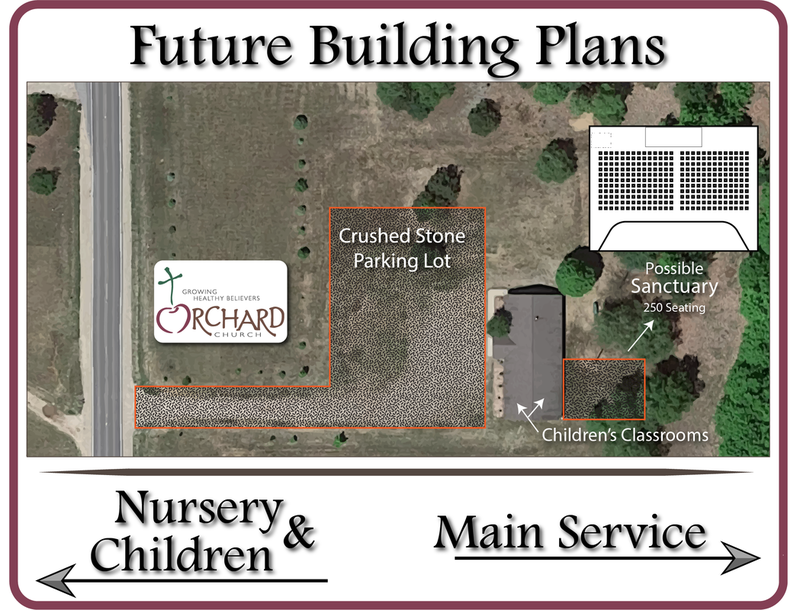 Late last year, after months of work, the Orchard Church was awarded a grant from the Oldham Little Church Foundation in the amount of $8,500 specifically for the project of expanding and graveling the parking lot. The combined amount of the grant and the target of $10,000 would allow this work to be done in May. This will allow the current building fund to remain for the future expansion of our building. It is important that we remember why we need to improve our parking lot and expand our building. We are called to make disciples. The Elders and Trustees of The Orchard Church feels that we can continue to do that work and reach more people with improvements to our facilities. A first step in that process will be the parking lot, partially because we were able to secure outside funds to cover a large portion of that cost. It is also important that we remember that the building fund campaign is in addition to our regular tithes and offerings during this two month period. During this time, we will continue to focus on “Growing Healthy Believers” and support our ministry partners. Please designate offerings for the “Building Fund”. Thank you. The Orchard Church provides a number of different options to financially contribute to the Gospel work we are doing. We are a 501(c)3 organization, and all contributions are tax-deductible to the extent permitted by law. Remember to notate your contribution "Building Fund" so it will go directly into the building fund. Financial giving to the local church is an act of worship to God. We incorporate the offering into our worship services and invite those in attendance to give as the Lord leads them. Online giving is a convenient way to contribute. The Orchard Church offers online giving through PayPal. Please remember to print off your contributions for tax purposes. 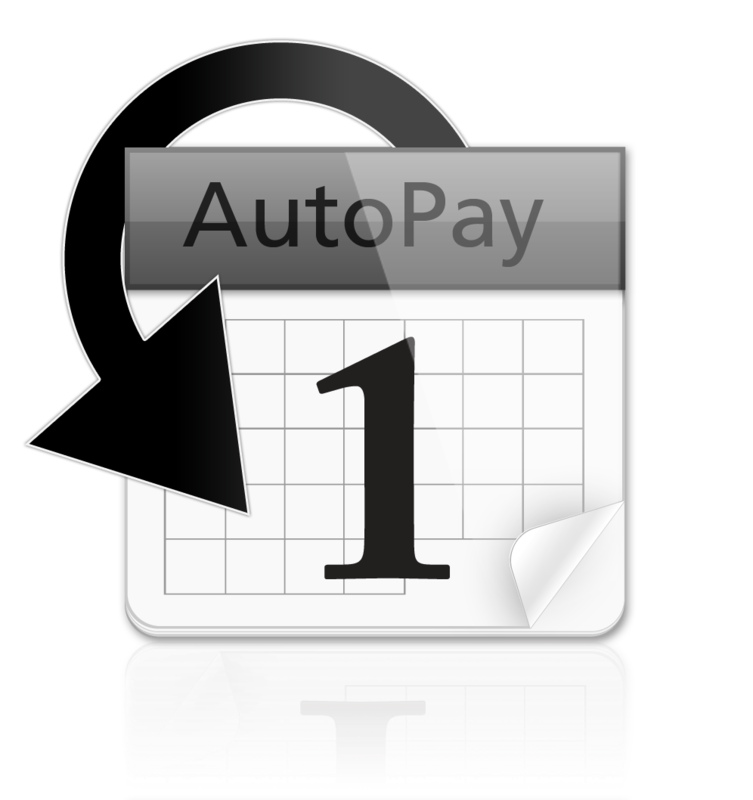 Many banks and financial institutions offer automatic bill pay for their clients. Every bank is set up differently, but this is a great way to give regularly through the mail.